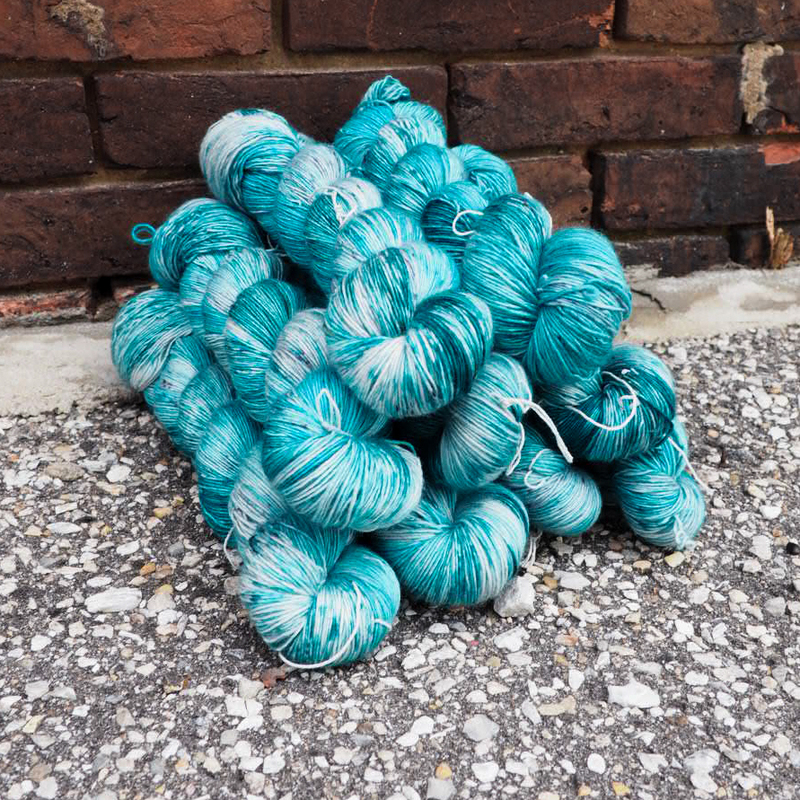 Renewals and Transitions – Neighborhood Fiber Co. Autumn weather reminds us that, as much as we'd like to deny it, change is inevitable. 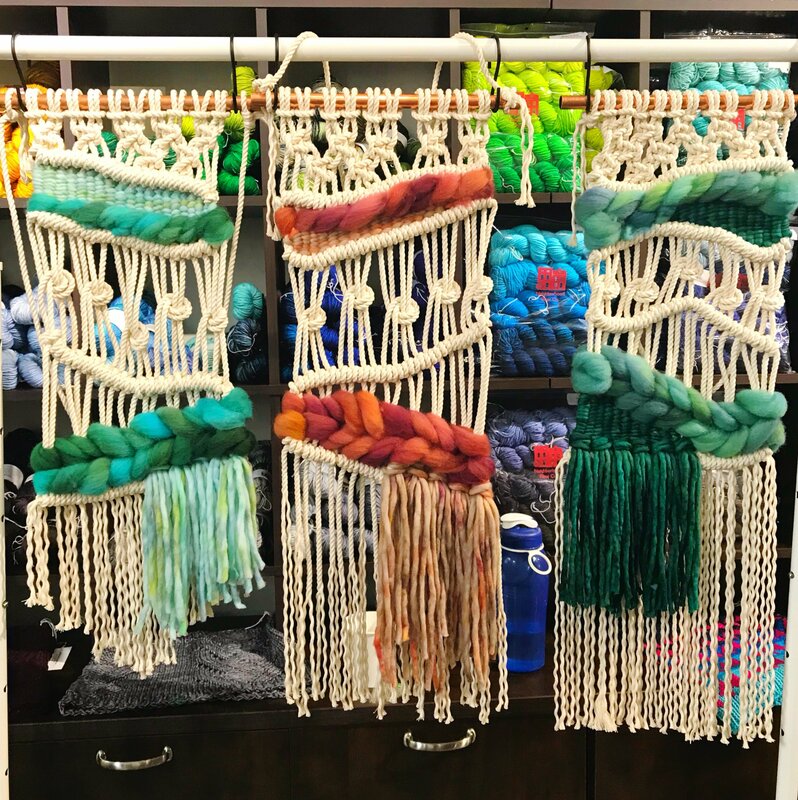 In this case, Neighborhood Fiber Co. is sad to announce that we’re saying goodbye to two of our long-term employees, Astrid Albert (dye technician and instructor) and Kristen Schaeffer (VP of Operations aka Chief Order Muppet). Kristen and Astrid have been part of the NFC family since 2014, and we’ll miss them very much. Please join us in wishing them both lots of good fortune as they embark on their next adventures! Since we launched the Sanctuary City colorway, I've lost track of the number of times I've been outraged by some new assault on human decency. I know that all of you must also be feeling overwhelmed by the amount of injustice we’re facing. I also know that you can’t attack a mountain of rock by lifting it all at once. So, for now, this fundraiser is my attempt to chip away at the mountain, one small pile of rocks at a time. At this time, we’ve raised more than $5,000 for Raices and IRAP! I'd love to double that number. Don’t miss out on your chance to get this limited edition Color for a Cause, and don’t give up hope. We’ll stop taking orders at 11:59 pm EST, Sunday, November 18. On December 1, Taylor Riley of Myth and Moss Studios is coming back to teach another Macraweaving Workshop. Every participant will leave with a unique wall hanging and the skills to do more macrame and tapestry weaving. 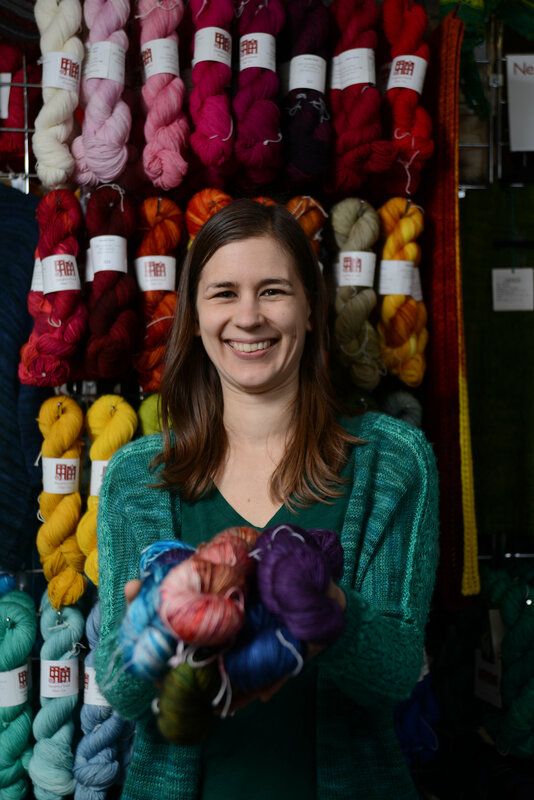 All materials, including hand-dyed yarn and roving, are included in the cost of the class.